Suicide is a topic I honestly do not understand and hope I never can understand but it has come up a few times in the SEM community. There have been AdSense publishers threatening to kill themselves over smartpricing and related topics. There have been the topic of should search engines censor suicide how-tos and a case where Google even suggested suicide. Google even has a special one box message that shows up when you search for suicide. But the time has come where the topic of suicide along with a Google update, specifically Penguin has hit the Google Webmaster Help forums. Our skewed poll suggests a heck of a lot of SEOs were hurt by Penguin and if with Panda 9.2% lost their jobs - money issues can lead to depression and depression can lead to horrible thoughts. There are clearly people who are extremely upset with the outcome of Penguin on their sites. 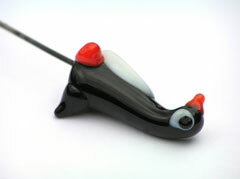 One webmaster asked in the forums, "have there been any related suicides to Google Penguin?" I hope not. I have not seen any but anything is possible. Have you or have you known anyone who had an issue so deep related to Penguin or another Google update that considered such an extreme measure?